Welcome to Gioia, a true woocommerce fashion shop marvel! 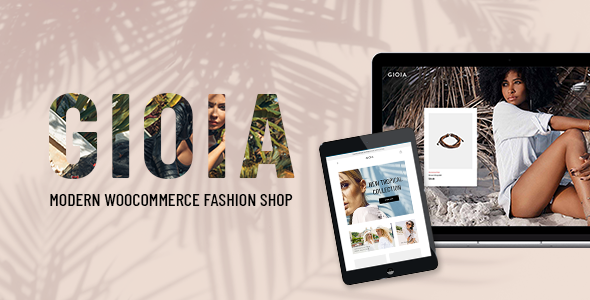 A stylish theme packed with everything a modern fashion store can wish for, Gioia is sure to help you build your own fashion shop or clothing store website in a quick and professional manner. Gioia is fully compatible with WooCommerce as well as YITH WooCommerce Wishlist, Quick View and Product Color and Label Variations plugins. No reason to wait any further – get Gioia and build your beautiful fashion shop or clothing store site today!